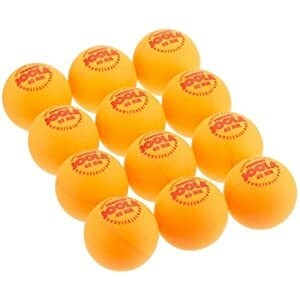 Ballport 80-Ball Basket is made of tough polypropylene. No wires to rust, welding to break or paint to peel. Handles rotate and lock up or down for easy pickup and dispensing. Ships in a small, 2 wide by 25 high box. Assembly is easy with panels locking into place and legs easily attached with provided screws. Rolling bars on the bottom help ease balls into the basket and hold hold them in. 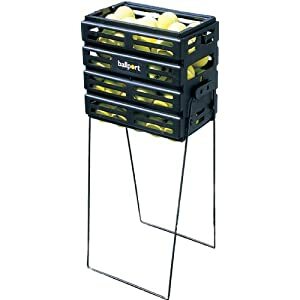 Sliding bars on the top slide open to make dispensing easy, and lock closed to hold balls during transport and storage. 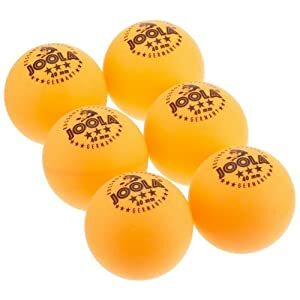 Handles lock into an upright position for ball collection, and in a downward position for ball dispensing with a patented locking feature. 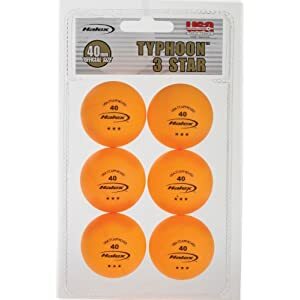 This USTA and ITF approved ball is also the Official Ball of USA League Tennis. 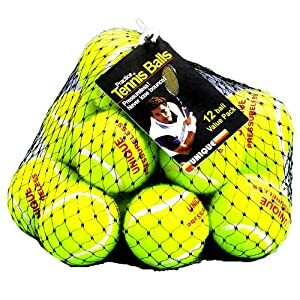 This practice pack from Unique Sports comes with 18 pressureless tennis balls. 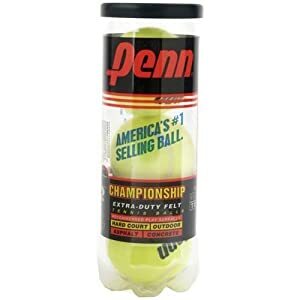 Penn Tennis Balls. Official size and weight, USTA and DTA approved. 3 balls in a vacuum can. 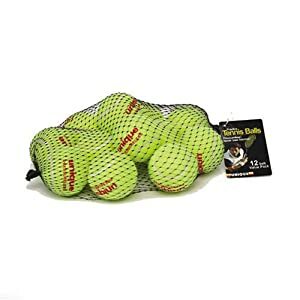 Sold as 4 cans (12 balls). Pressureless Balls Never Go Dead. Ideal for practice and throwing machines. The bounce is true and always the same. Made with real felt.